The Government has allowed the BBC to trial a new, simpler payment plan for the licence fee. It follows a change in the rules, announced by the Department for Digital, Culture, Media and Sport (DCMS). Licence payers on the trial plan will still pay the same amount of licence fee as every one else (£150.50 per year from 1st April 2018), however instead of paying the cost of the licence fee in full at the start customers will be able to pay-as-you-go each month with the cost split evenly over the course of the year. At the moment, TV Licence payers who pay on a weekly or monthly basis have to pay more over the first six months to protect against a risk of non-payment. Until the end of March, monthly payments are £24.50 for the first six months, and £12.25 for the next six months. Those that opt to pay quarterly currently pay a £1.25 premium. The change is one of the key recommendations from the 2015 independent review on TV licence fee enforcement carried out by David Perry QC. He recommended that the government should make available simple and flexible payment plans for those facing difficulty in paying the licence fee. "The licence fee enables the BBC to produce fantastic programmes that we want everyone to enjoy and be entertained and informed by. But we know that sometimes households may struggle to pay the licence fee, which is why we’ve worked with the BBC to develop a simpler and more flexible payment plan to help those on low incomes." The Government expects that simplifying the payment plans will have the added benefit of reducing the amount of prosecutions for licence fee evasion. There were 159,637 convictions for evasion in 2016 and currently the BBC estimate that 6-7% households evade the fee. The BBC has worked with DCMS on the best way to implement David Perry Q.C.’s recommendation and we welcome government legislation enabling us to run the Simple Payment Plan trial, which has been designed to help those most in need. The increased flexibility to pay for a TV licence that the Simple Payment Plan provides is an important step forward in improving support for people in financial difficulty in this area. Five percent of the people we help at National Debtline have a TV licence debt. 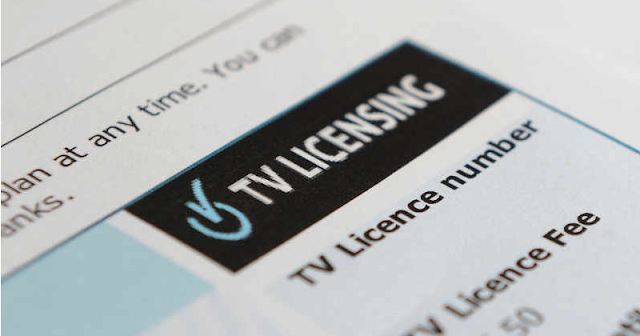 We look forward to working with TV Licensing on this trial and to see how it helps those people we hear from who are struggling to pay the licence fee. For those on a very low income, the cost of a new TV licence can be very difficult to meet so this new arrangement looks set to be a great help. Customers joining the scheme will be compared with other customer groups to see how well they keep up with the payments and if they renew their licence. This assessment period will conclude in September 2019 after which the BBC will evaluate whether the trial has been successful and expanded to everyone wanting to pay the licence in smaller instalments.